Spencer Haws is well known in the online entrepreneurial world. His site www.NichePursuits.com chronicles his experiments creating multiple niche based sites to generate varied streams of income to replace his J-O-B. He did it and has expanded to learn about SEO, website development, keyword research, and eventually to create his own software to do keyword research, www.LongTailPro.com. But when he heard about the possibilities of Amazon Private Label sales, Spencer just had to try it for himself. In this episode of The Amazing Seller you’re going to hear Spencer’s entire journey as an Amazon seller. Why would a successful software developer give Amazon Private Label sales a try? Spencer Haws is not your average software developer. In fact, he’s much more. 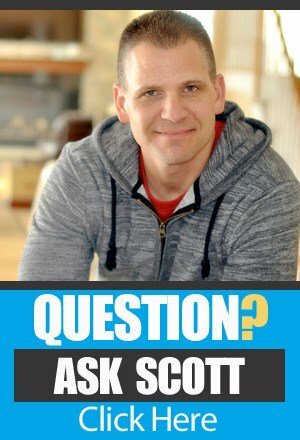 Spencer’s interest in Amazon Sales comes from the fact that he’s naturally curious about the many ways that it’s possible to make money online. He’s always looking for recurring income, with as little administrative busywork and cost as possible. When he first heard about Amazon Private Label selling, it sounded too good to be true. He expected that there would be a huge time commitment, and there was at the beginning. But he soon realized that the potential of Amazon product sales far outweighs the drawbacks. Spencer shares his story and what he’s learned so far on this episode. Generating product ideas from the needs you have in our own life. Discovering a real felt need in the marketplace can be a difficult thing to do. But Spencer Haws doesn’t believe it really has to be all that difficult. His successful software, www.LongTailPro.com was developed for his own use simply because he had a need that none of the available software solutions could meet. It went on from there to become one of the most effective and widely-used SaaS products in the online business and blogging world. Spencer took that same belief into his Amazon Private Label sales efforts, believing that if he was experiencing a clear need that the marketplace was not providing a solution for, he couldn’t be the only one. Hear how Spencer went about the product selection process in this great conversation. Spencer Haws knows something about keyword research and he’s applying it to his Amazon product listings. Keyword research is often spoken of only in the blogging, SEO, and online marketing communities. But Spencer’s expertise and experience as the head of a keyword research software company has shown him that every search algorithm, from Google to Amazon, uses keywords in one way or another. 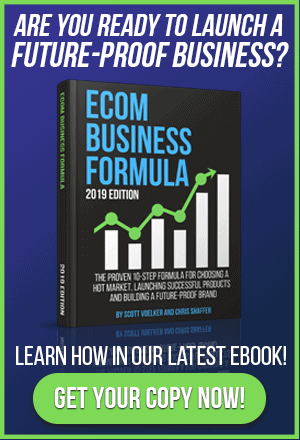 That belief has led him to do extensive keyword research relating to each of his Amazon Private Label products and the results have been amazing. The research has enabled him to rank for keywords his actual customers are using, but most of his competitors are not. The creative way he’s been able to apply that skill is making all the difference. Find out more about Spencer’s approach and beliefs regarding keyword research and your Amazon product listings, on this episode. Don’t expect a lot of personal profit in your first six months as a Private Label seller. But isn’t that why we’re doing this? To make money? Yes, it is, but you’ve got to understand that you’re building a business, not just a one-time source of income. That requires money to be invested back into the business so it can expand and solidify, building a base from which all your future income will flow. Most successful Amazon Sellers who make a living through their Amazon products spend the first 6 months (at least) putting their profits back into the business, and today’s guest – Spencer Haws – is one of them. Learn how Spencer used the success of his first product to finance additional products in his niche by listening to this great episode. [2:23] Introduction of Spencer Haws. How did he get into Amazon Private Label sales? [4:18] Spencer’s back story of his online businesses and how he made the transition to Amazon sales. [9:37] Makin sure you learn from failures (that’s what turns them into success). [11:16] Why Spencer began looking into the Private Label options. [13:38] Where did Spencer get his product idea? From a need he had. [15:04] How quick was the process of validating the product idea? [16:01] Finding his product from a China source. [17:03] Ordering the products to test the market. [19:25] How Spencer paid for his first Amazon products. [21:01] Spencer’s admission that he was flying by the seat of his pants… and what came of it. [23:43] The first steps Spencer took when he got his product listing up on Amazon. [25:30] Spencer’s product was a higher price point… how it worked out for him. [26:17] Expanding into related products in the same niche – in a more aggressive way. [28:20] Spencer’s launch process for his new products. [29:00] One of the products didn’t sell very well right away, so he moved to Amazon PPC. [31:00] The importance of “seasoned” products and seller accounts. [32:09] Why Spencer stopped asking family and friends to do product reviews. [34:46] What is Spencer doing to maintain his Amazon Private Label business. [38:33] The one thing Spencer has done to help his listings: Keyword research and great product titles, especially terms competitors were not using. [39:45] The stats that show Spencer’s products could outpace his software business soon. [42:26] Why the first 6 months of Amazon Private Label sales is not a “personal profit” making venture. [44:46] Spencer’s parting advice, and how to get in touch with him. www.Longtailpro.com – Spencer’s keyword research tool. www.AMZTracker.com – the review service Spencer uses.